The Foitzik-Kamerawerke were founded in 1945 in Lübeck by machine construction engineer Karl Foitzik (born 1909 in Schomberg, died in car accident 1955). 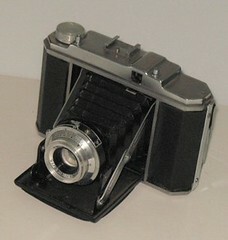 There the company could make 600 pieces of its early camera types Foica, Foizica and Unca. It had troubles with the quality of the Steinheil lenses. In 1950 the factory reopened in Trier with 20 employees. 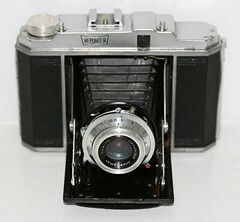 It was one of the many post-war German camera manufacturers. According to various sources, the production in Trier began in 1951 and ended in 1958. Karl Foitzik himself took part in the development of cameras. The Foinix I was his construction. The history of the company and its founder are described in an article (in German) from Geschichte, 14.11.2006. It has produced several camera models and some accessories, a self-timer, two rangefinders and a universal viewfinder. In 1953 the takeover of Optische Werkstätte Janetzki enabled Foitzik to produce its own lenses. In its heyday the company employed 150 people. Warehouses Kaufhof and Quelle sold Foitzik's camera, exports went to 60 countries. The decline began with Karl Foitzik's sudden death in an car accident. His wife Margarethe led the company until it was closed in 1958. The optics are a little primitive; however, the camera is simple and easy to use if you don't mind having to either use a separate rangefinder for perfect accuracy or accept that focus may be a little rough. The flash mount often will not synchronise properly.